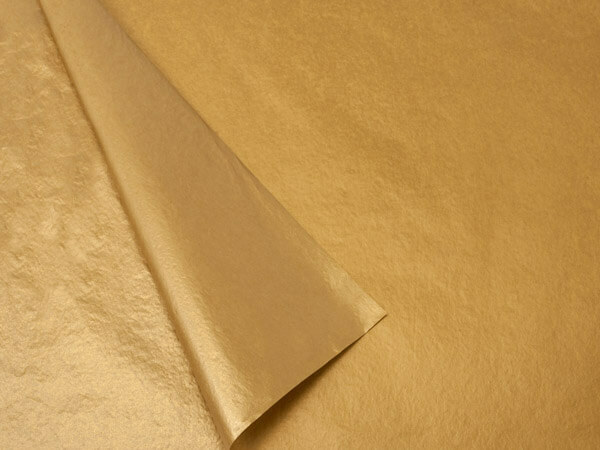 Metallic Gold Tissue Paper by the ream features gold metallic tissue on both sides. Tissue is sold by the 100 bulk pack. Elegant tissue for Christmas, weddings, anniversaries, birthdays and special celebrations. These beautiful metallic tissue papers add a touch of elegance for special gifts. Made in the USA. Sheets are 20x30". Available in 1 or 2 sided colors.